In these instances you will not be using a ribbon as the label material is chemically coated to react with heat as the print head comes into contact with it. As with all our labels we can produce plain or printed, any imaginable size or adhesive, we can supply on rolls with 19mm, 25mm, 44mm or 76mm cores. We can also supply as continuously fanfolded as an alternative. 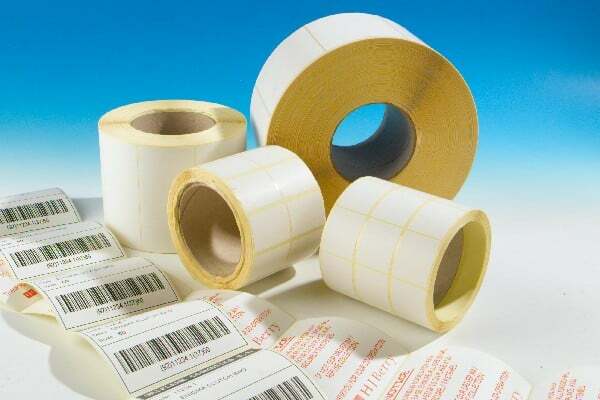 If you have not got the in house equipment to print variable information & barcodes then we can do that for you using our stock labels we can print barcodes, consecutive numbers and other variable information.